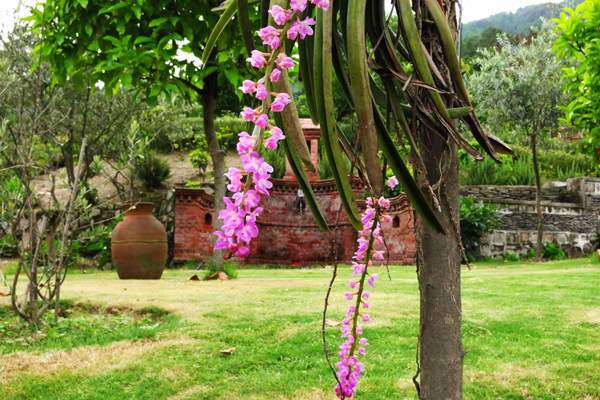 A top a 1600m hill on the northern side of Kathmandu Valley, the site of the lodge itself is a delight. While the valley remains shrouded in a winter fog, the sun shines happily at the lodge, conveniently perched above the enveloping clouds. In the summer, the towering hill behind it as well as the overwhelming greenery here, takes the mercury down a notch. Spring at the retreat is a treat. The hillside comes alive with wild flowers and the green soothes the eyes. After a raining afternoon, the smog above the valley clears to offer breathtaking views of the city lights. The monsoon ravishes the hillside, allowing you to see shades of green you will not see elsewhere in the city. 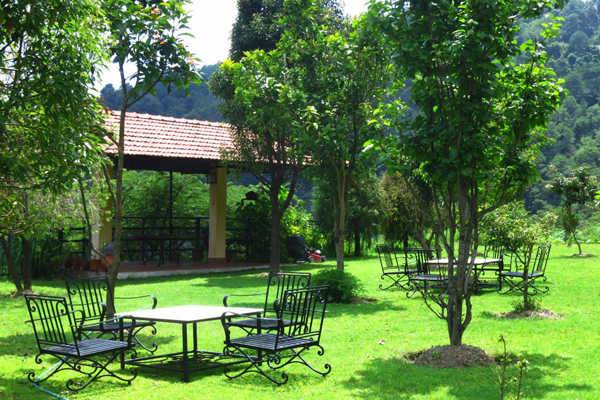 The lodge has a main building with a friendly restaurant; the building also has a conference space for any meet or event. The lodge has a new chimney room building with cozy sitting area, and small bar. The hours are specific especially for the bar section, but guest can always enjoy the ambiance and the room. Pathways with solar powered lamps along the trail make a way to all the area of the lodge. The lodge also has a massage therapy room to relax and rejuvenate. This service can be used, when making an advance booking is made to the lodge. 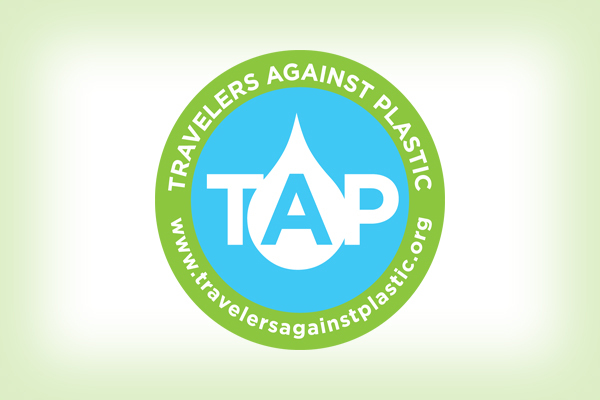 See activities for more information. The lodge has 10 twin bed rooms only to keep it private and small. All these rooms are in a traditional style building. 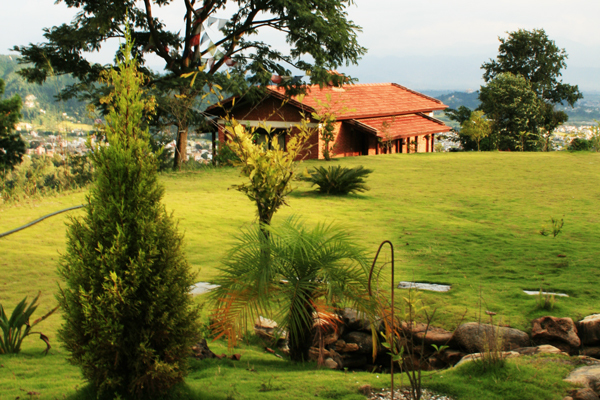 Retreat guests are encouraged to enjoy all of the facilities and service with an advance booking made to the lodge. 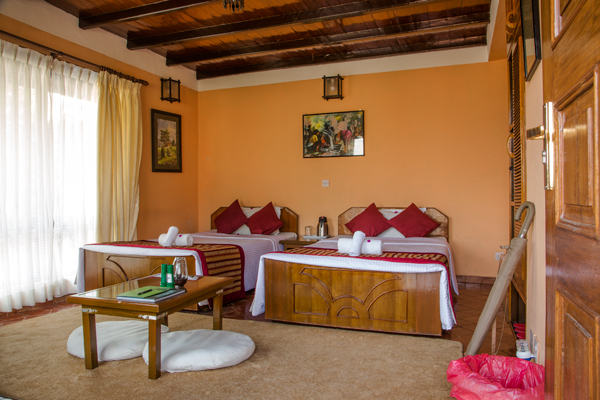 Not to mention, at Chhahari, guest are also able to use free wi-fi internet, and complimentary tea and coffee at anytime. 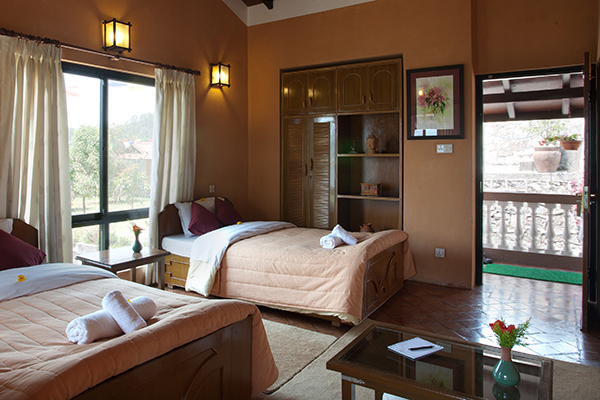 Chhahari's rooms are housed in quaint bungalows with a traditional brick façade. The red clay of the roof tiles goes with the aesthetic mood of the design. The houses are modeled after the typical Nepali village homes that can be seen all over the hillside, with a two-story design and use of wood that is so common in most Nepali villages. Walk up the stairs to discover a balcony with clay tile detail, perfect to gaze out from at the lawns below, the green forests on the sides or the city in the background. Inside, the rooms are both spacious and tall. The clay floors go with the distinct Newar home theme, as do the charming wooden rafters on the ceiling. 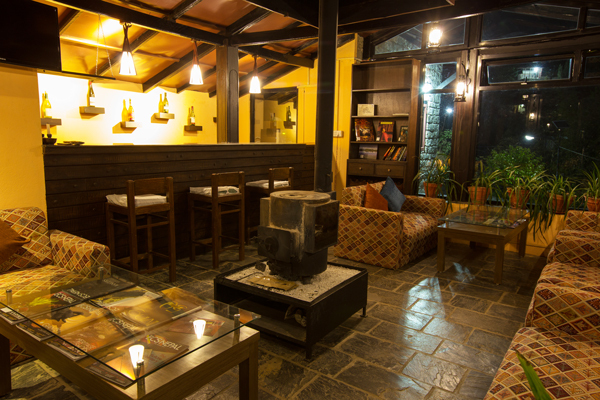 Eating at Chhahari is not just a gastronomical delight but also an experience on its own. For starters, the ingredients used are mostly organic, grown in the onsite organic garden and some of the vegetables are also bought from the small vegetable shops. 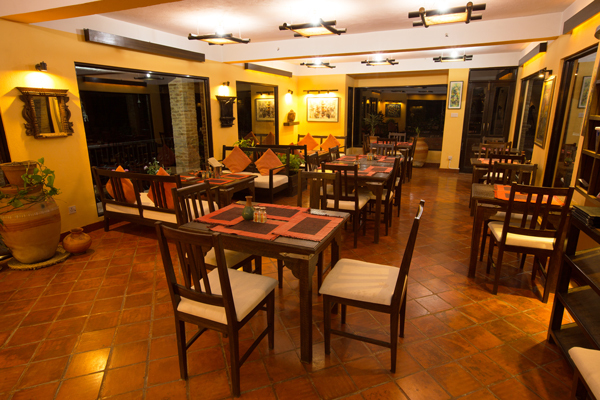 Our chef will prepare tasteful Nepali and Continental dishes from a small menu. The dining room itself is spacious and can comfortably house 30 guests. The earthy tones, the use of indoor plants and the natural wooden colors of the customized furniture allow the theme of the lodge to follow you into the dining area. The huge bay windows help remind you about where you are, high up above the city's hustle and bustle. Take advantage of the great location and eat outside on the lawn. 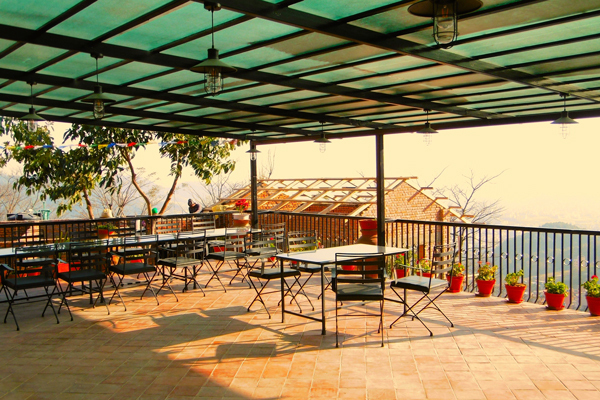 The balcony seats offer great views and the cool air of the hillside adds to the flavor of the cuisine. Breakfast taken on the seating outside as you let the morning sun kiss your face as you wake up before the city is quite an experience. Make use of the organic vegetable garden and pick what you want to cook. If you're in time for fruit picking season, you get pick one, polish it off and bite into nature's free gift as you laze around the lawn and enjoy a beautiful sunset. The best things in life are indeed free. We advise all our guests to call us prior your arrival for any restaurant orders. Surround yourself in a vibrant abundance of lazy couch, and marvel at the fire as it roars up a transparent chimney, while admiring the view across the gardens. Relax in our comfortable homey surroundings at the Chimney Lounge and prepare to enjoy the delectable snacks that have been satisfying our customers. It was so good to relax and enjoy your lovely retreat. The flowers and surroundings are wonderful. The meals were tasty. Thanks so much for your hospitality.